When you compare this property to the others for sale around it, this was an awesome opportunity for the buyers. 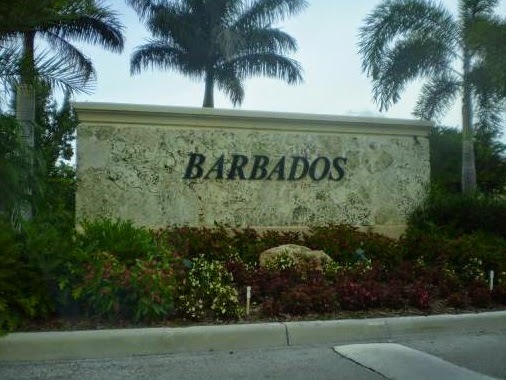 As the largest model in the Barbados community at the Islands at Doral, it has four bedrooms and two and a half baths. Built in 2002, this home sits on the corner and has everything a buyer wants in a new home – glorious kitchen with granite, stainless steel appliances and tons of counter tops. Islands at Doral has on-site guards every day of the week, all year long along with tons of amenities including a great pool, club house, fitness center and more. The Islands at Doral is a popular and well-sought after community in Doral that is close to A+ schools, shopping, major thoroughfares, and Miami International Airport. As a comparison, there are about 35 single family homes for sale in the Islands at Doral with list prices falling between the upper-$300s to almost $1 million. Additionally, over the last six months, there have been 14 sales in the Islands at Doral with sale prices from the upper-$200s to upper-$500s and an average number of days on the market at 115 days. The Islands at Doral is a wonderful neighborhood that has a lot to offer many types of buyers from first time buyers to those who are upgrading to larger, nicer homes to those wanting to downsize or even buy a second home or investment property. 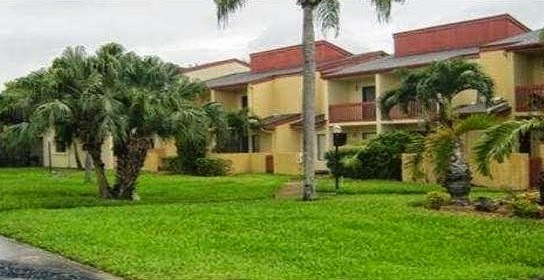 Townhouses are always sought after properties in Doral. With so many people doing business in and around Miami, condominiums and townhouses are perfect as second homes as well as investment property. This townhouse features large bedrooms and a nice open living area. The kitchen has granite counters, custom cabinets, and an island with lots of workspace. At the Gates at Doral Isles, residents enjoy living in a gated community with access to the unbelievable community amenities like the pools, clubhouse with meeting rooms, playground, fitness center, tennis courts and more. One of the nicest attributes of the Gates at Doral Isles is that the HOA fees include insurance, water, sewer, trash, building exterior and amenities. On top of all this community is located near I-75 and Costa Del Sol Golf course, schools and shopping. 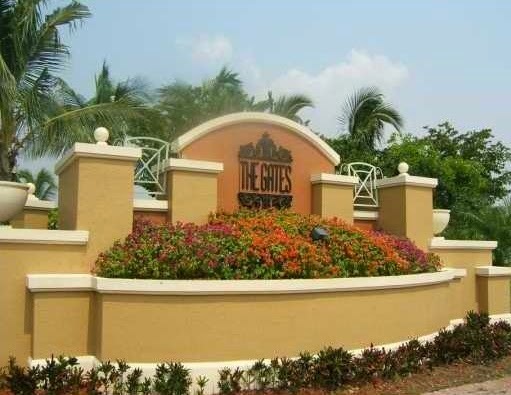 Currently, there are 11 units at the Gates at Doral Isles with list prices ranging from the lower-$200s to mid-$300s. In the past six months there have been nine sales with sale prices falling in the $200s and an average number of days on the market at about 80 days. In terms of investments, monthly rental rates run from about $2,000 to about $2,500 for annual leases depending on the size and location of the unit. Doral Isles is one of the best neighborhoods in which to live in all of Doral. The Blue gives investors the best of both worlds in Doral. 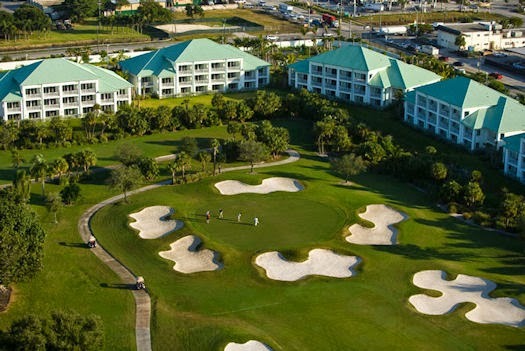 Its location is close to Miami and it sits on a gorgeous golf course making it perfect for doing business. As a condo/hotel resort, The Blue Hyatt Residences is the perfect opportunity to invest in vacation property that is fully managed. Owners can visit when they desire then put their properties in the pool for others who come to the area for a golf vacation. The unit is professionally designed and has tons of space with a beautiful kitchen and living area. The views are spectacular too! There are about four listings at the Blue Hyatt Residences with list prices falling between the low-$200s and low-$400s. As for rental rates, owners can expect to get $2,200 (studios) to $4,000 (three-bedroom) with short or long-term leases available. This Sand Castles at Doral townhouses features three bedrooms, two baths with a one-car garage along with a large kitchen with ample counter space and cabinets, large bedrooms with walk-in closets, a nice open living area and large back patio that is fenced in for privacy. On the second floor, there is a nice loft area that is perfect for a home office or homework nook. 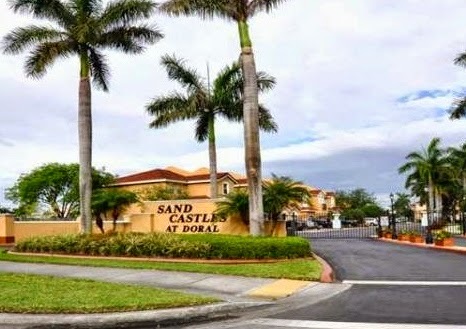 Sand Castles at Doral is ideally situated close to the Florida Turnpike as well as the Miami International and Dolphin Malls, top rated golf courses and excellent schools not to mention having low association fees. There are currently three listings with prices falling between about $300K to $350K. Over the past six months, there has only been one sale which stayed on the market for 73 days and sold for about $285,000. For rental investors, monthly rental rates usually fall around $2,000 to $2,500. Because of the size of the townhouses (1,500 – 1,600 square feet), they are very popular for those seeking rentals. This is a two-bedroom, two and a half bath townhouse in the highly sought after Villas of Amberwood. While the community is an older one built in 1981, it is still a fantastic neighborhood that is gated and has several amenities including a pool, tennis courts and club house. Inside this home, the features including a large kitchen with breakfast area, a screened in patio with ceramic tile floor, a large living area and large bedrooms with hardwood floors. This was an awesome sale for the buyer. It is one of three townhouses that has sold at the Villas of Amberwood in the last six months with sale prices in the upper-$100s and low-$200s, and the average number of days on the market at only 22 days – this property sold within five days. Additionally, there are currently two listings that are offered from the mid to upper-$200s. The Villas at Amberwood allow leasing; monthly rental rates typically range between $1,700 and $2,300. It is a great place to buy property whether you are a first time buyer, are interested in downsizing or want to invest in rental property. There are lots of opportunities for home buyers interested in Doral real estate. The most appealing characteristics of Doral are that it has some of the state’s best golf courses within a short drive not to mention the major travel arteries in and out of Downtown Miami and other parts of Florida. As for potential buyers, it is the perfect area for first-time buyers not to mention those who have a desire to downsize or even invest in rental property. Keep in mind that Doral real estate sells fast so be ready to move when you find what you like. There is a chance that it will be sold right out from under you!